For a while now my foundation was looking funny on skin and it just wasn't sitting right on my skin. I decided to take Amelia Liana's advise and try the L'Oreal True Match Foundation, which is supposedly a dupe for Giorgio Armani Luminous Silk Foundation. This foundation has a silky texture and matte & luminous finish and it feels very pleasant on the skin. It blends beautifully into the skin and I like to use the Real Techniques buffing brush to apply this. True Match has a medium coverage that can also be build up to a higher, full coverage foundation but for everyday wear (ie for school) I will just wear a medium coverage of this. For me, this foundation lasts all day during school and in the evenings I can still see the foundation on my face. 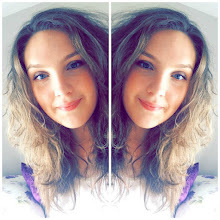 Usually foundations disappear off my face during the day but this one lasts a good 7-8 hours. Packaging wise, this ticks all the boxes: it has a pump, lid, glass bottle and whilst only being £9.99, it feels so much more expensive. This foundation does have SPF 17 which is good for protecting your skin from the sun, however does mean you might get a little bit of flashback when taking photos. 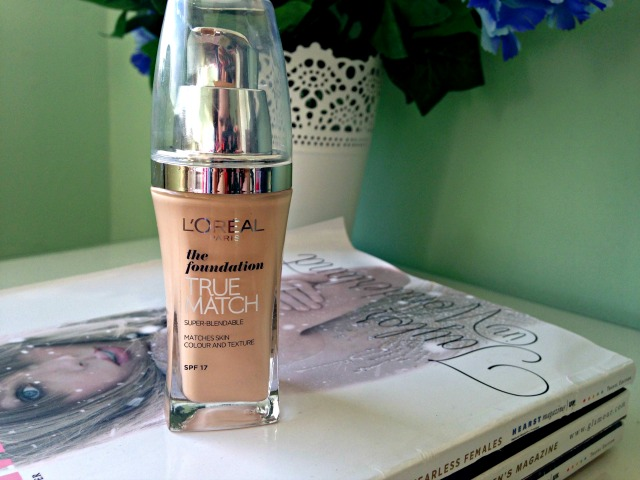 Have you tried the L'Oreal True Match Foundation? What are your thoughts on it? Do you have any other foundation recommendations? I've heard so many good things about this i'm desperate to try it!